A profitable construction company is built on the foundation of superior skill and excellent communication. You can have excellent skill, but the communication is essential to effectively deploying that skill in the field and throughout the business. The best construction companies are the ones that have a clear and consistent means of communicating information, surfacing and handling day to day problems and identifying and exploiting opportunities. Stop for a moment, and ask yourself how effective your company wide communication is? If a lack of execution in the field, or misunderstandings between your company and your clients, suppliers or sub contractors, is frustrating you, communication needs to be improved. Don’t go “macro” and call a companywide meeting to deal with the communication challenges. Instead, go “micro”. Grab a piece of paper, write down the names of all the people who report directly to you, and then schedule in a time to meet with each of them one-to-one within the next two weeks. If you dread one-to-one conversations, then you may have poor relationships with your direct reports. That’s exactly why you need to schedule these meetings. In the leadership classic “High Output Management”, Andy Grove discusses the importance of a one-to-one meeting. His insights are the basis for the outline that follows. In this article we’ll discuss why you should have one-to-one meetings with your direct reports, how to structure the meetings, and how to conduct them for maximum impact. First, let’s look at why you should have one-to-one meetings. Deep, one-to-one meetings are an excellent way to leverage yourself. If you spend one hour every two weeks with each of your 6 direct reports, you’re investment of 6 hours can impact 480+ hours of their work. As you get out of the field more and more, you can lose some of your feel for the state of your business. 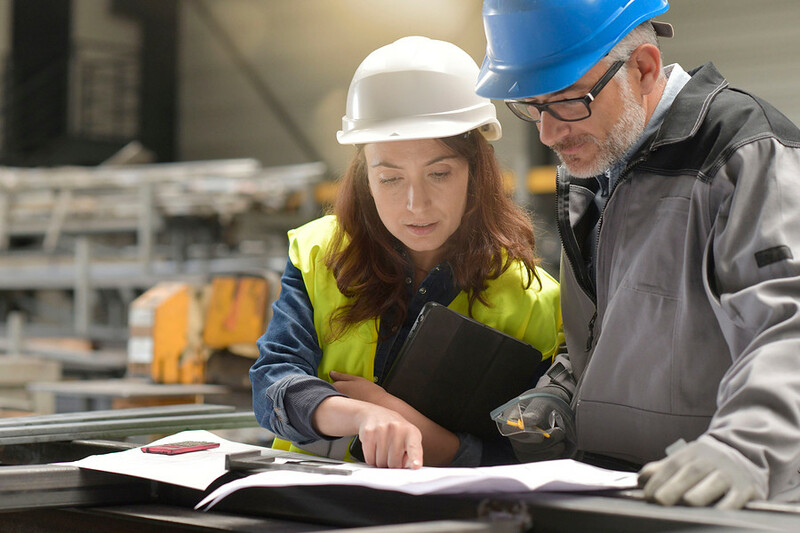 One on one meetings are important because your direct reports can “teach” you about current market conditions, the state of your crews in the field, the nature of the relationship that your company has with suppliers, and other building contractors and owners. You can also use the time to teach. Ingrain corporate culture by explaining to the person what you would do in a particular situation, or what you’ve done in the past. During the one-to-one, you can share all your experience working in the field or with customers. Many construction companies struggle when they promote people from the field to the office or from labor to a supervisory role. Make sure you’re meeting with people who are new to their roles as frequently as necessary so that you can say you’ve done everything in your power to help them to succeed in their new position. Now let’s look at how to structure the meeting. Set aside a minimum of one hour for each one-to-one meeting. This long enough to get into tough issues, hear someone out, and let the “real” issue come to the surface. Make it on their turf. It’s their meeting, and you want them to feel as comfortable as possible. When meeting with a superintendent, if possible, go out to the site of your most critical current job; take a little time to walk it with them as a part of the meeting. This will give you a sense of how the job is running and give context to issues that come up. If you are in your direct reports office you’ll get a great idea of how they easily they can access information to answer any questions you have. You’ll see if they are efficient and organized. They are responsible to set the agenda. They email you an outline prior to the meeting so you can print it out and bring it with you. Business is continually challenging. If they are struggling to come up with items for the agenda, it means that they are either hiding something, or missing stuff that’s happening in their area of responsibility. Insist on 3-5 agenda items. Have the agenda of the meeting with you and commit to taking written notes. This will help you to focus on what your direct report is saying, and communicate to them that you take the meeting seriously. Construction is a tactile business and a people business. People design and build structures, and personal interaction is constant. Therefore, face-to-face meetings are best. Next best is a video chat using Skype or some other technology. At least you can still see their face and notice some non-verbal cues. Last, is phone. If you have to meet by phone, discipline yourself to be in a place where there is no computer so you can’t be distracted by email or the internet. In all situations, have the agenda in front of you and a pen, and make notes. Now that we’ve covered why you should have one-to-one meetings and how you can structure them, let’s look at the last part of the article: how to conduct the meetings. You probably discuss critical numbers in the areas of Bid, Build and Bill in the weekly group meeting you have with your direct reports. The one on one meeting provides you a great opportunity to take a deeper dive into the numbers. You can review an important estimate, or give feedback on more effective scheduling of a job, or even volunteer to make an accounts receivable call if appropriate. After reviewing the numbers, move to the people. The first person to start with is them. Here are some questions to ask. What’s the biggest challenge you are facing at the moment? Are you satisfied w/ your performance? Are you happy with your career path in the company? What is the one thing I can do to help you improve your performance? Is someone having struggles in their personal life that are affecting their job performance? Who are you grooming to take your place? Knowing what you know now, would you still hire that person? Make sure you check in with each of your direct reports on the state of their relationships with your other direct reports. The one on one meeting is a great opportunity to surface issues. At this point there may be challenges that you know they haven’t brought up yet. Make sure you do. Be specific and ask them how they plan on handling the situation. Peel the onion, keep asking questions and actively listening. At the end of the meeting, make sure you and your direct report agree about any action items following the meeting. Remind your direct report to include a report of that action in your next one on one meeting. If you think that you don’t have time for these conversations then you need to reevaluate you’re schedule. Done right, these one on one meetings will help you save time and increase your leverage throughout your organization. If you are not conducting regular one-to-one meetings start with a meeting every other week. As you move forward, determine the ongoing frequency the nature of your direct reports job, and how experienced they are. For example, if your senior estimator is working on a bid that is critical to your company’s future, then you might want to meet with them one on one on a weekly basis up until bid day, so that you can provide them any necessary input and support. Conducting one-to-one meetings is just one part of your leadership duties. To find out how effective you are as a leader, take this short Construction Leadership Assessment. It will give you insights into where you are strong, and where you could use some improvement. Access the assessment immediately by clicking this link.